Every Multiple Listing Service (MLS) system is different, so short sale listings aren't always evident unless you know what to look for. But you have some other options besides MLS if you're looking for these homes. Lenders must involve the court system in many states before they can foreclose, so potential short sales often show up in court filings and records, and good, old fashioned classified ads often list short sales as well. Don't overlook online sources, such as craigslist. When you do find a listing, taking certain steps can help ensure that the process moves forward as seamlessly as possible. Most short sales are listed by real estate agents. You'll find these listings on local websites and in MLS feeds to various sites. First look where the term "short sale" appears if you have access to search terms. It might show up under "status modifier," or the term might be contained in the marketing comments. Choose that field as your search term. The "third party" designation sometimes means that the seller has not yet submitted the required documentation to the lender to be approved for a short sale. Ideally, the seller has done this already, meaning that the approval process is in progress. Read the listing carefully. 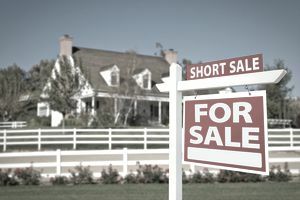 You might be looking at a "contingent short sale," which indicates that the home isn't for sale or that only a backup offer will be considered. You can also check courthouse filings for preforeclosures. The lender must file a foreclosure complaint in many states to start the foreclosure process, so a public record would exist of this event. Lenders won't even consider a short sale unless the seller is seriously in arrears with the mortgage, and foreclosure proceedings have most likely been started if the property owner is that far behind with the payments. Such a seller might not even have contemplated a short sale yet, but might be willing to talk with you or your agent and explore the possibility. Newspaper ads often list short sales also, as does Craigslist. They invariably require a hardship letter from the seller. What went wrong so that the seller can't meet his mortgage obligation? What has he done to try to remedy the situation? Is the problem likely to resolve at any time in the foreseeable future? The more dire and long term the circumstances, the more likely a lender will approve a short sale. Lenders require proof of the circumstances set forth in the letter, including bank statements and tax returns going back at least two years. They'll want full documentation of all assets that a seller owns, as well as other debts he owes. They'll want a comparative market analysis to nail down the fair market value of the property. No buyer is likely to be willing to pay more than this, so this market report can factor heavily in the lender's decision. They'll want a full list of any and all other liens that exist against the property. Properties with a wide gap between fair market value and the outstanding mortgage balance are often your best bet. They're likely short sale candidates because a foreclosure sale is not likely going to generate enough funds to cover the mortgage. And why would a lender insist on proceeding with the time and expense of a foreclosure only to potentially suffer a greater loss? Your offer should closely align with the home's fair market value—and the more earnest money you can put down, the better. Above all, hire an agent who is well versed in handling short sales and who can advise you of the procedures, including any local customs in your area. The more experience an agent has with short sales, the more likely that the price will be reasonable and acceptable to a lender. The right agent can touch base with the seller's agent before the process moves too far along to determine the status of the short sale. You might want to move on and look elsewhere if the process has stalled, such as in a situation in which the seller hasn't yet submitted a full short sale package to the lender. You'll also want to know if numerous liens exist against the property. This doesn't necessarily mean a second mortgage. Tax liens, child support liens, and liens placed by other creditors can all pile on. Every one of these lienholders must agree to the short sale because they're typically in line for payment after the first mortgage lender. These other creditors will not likely receive any money at all from the short sale if the mortgage lender isn't receiving full payment. Ask a lawyer for advice and guidance if you have legal questions.